Looking for a unique way to explore Golden Gate Park? Thanks to the San Francisco Electric Tour Company, you can see the sights in style with a guided tour powered by a fleet of I-Max and EcoReco electric scooters. 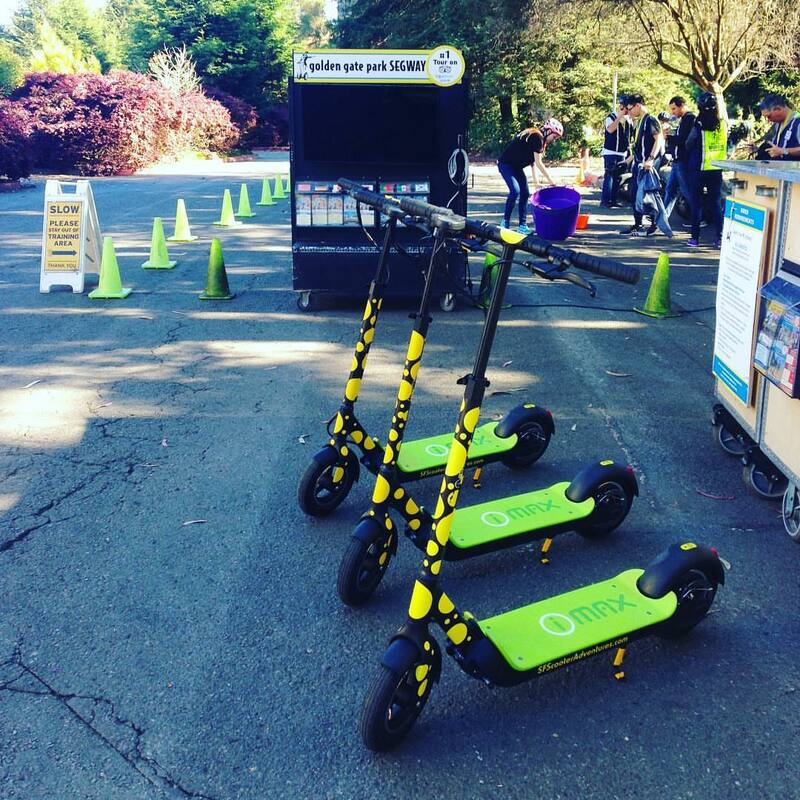 One of the company’s most popular scooter tours is the top-rated Golden Gate Park to Ocean Beach 2 1/2-Hour Tour for small groups of beginner and intermediate riders. After venturing through the scenic views, famous landmarks and celebrated attractions of Golden Gate Park, a coastal visit to Ocean Beach caps off the excursion. 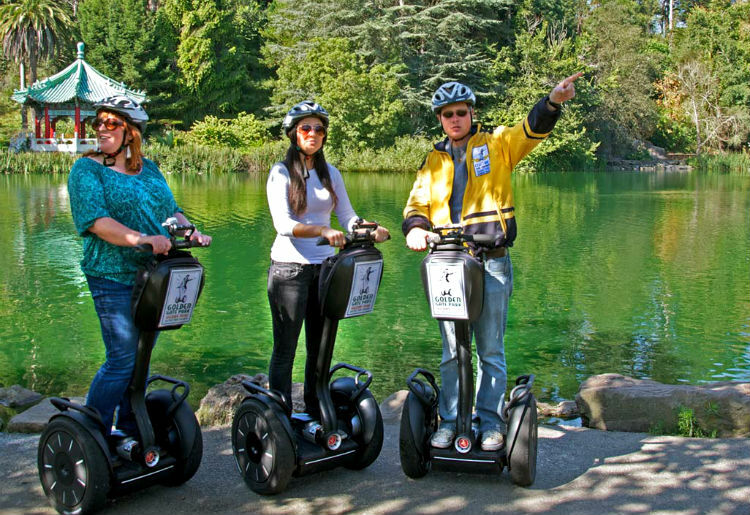 Electric scooter tours of Golden Gate Park cost $65 per person. You can purchase/book an online reservation for a maximum of 8 people at one time. 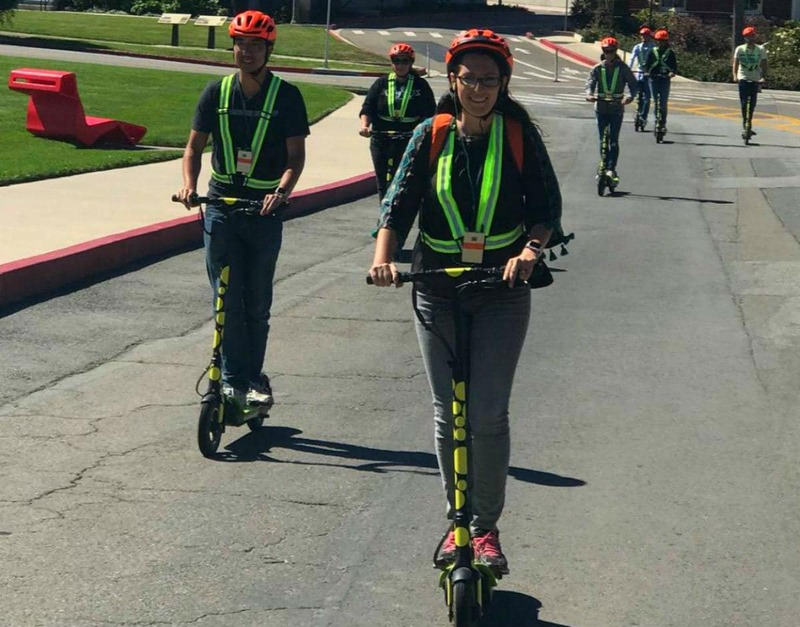 The San Francisco Electric Tour Company can also arrange 3-hour private scooter tours (2 to 10 guests) of the park, group tours (10-100 guests), team-building activities, and scavenger hunts (perfect for celebrating a special occasion). Golden Gate Park Scooter Tours to Ocean Beach and the Windmills are offered September through May on Fridays, Saturdays and Sundays at 12:30 p.m. Daily tours are enjoyed June through August at 2 p.m. Please check the website to confirm available times. All tours start on time, which means it’s highly recommended to arrive 15 minutes early to check in. If you arrive late and training has already started, you will not be allowed to participate in the tour. Scooter tours are not offered on Christmas Day or New Year’s Day. The Ocean Beach route also takes a pause during major events at Golden Gate Park, like festivals, races and concerts. The 2 ½-hour tour includes a brief skills overview and training session on how to safely operate the scooter. Before the tour, you’ll get familiar with basic scooter operation and the controls (like the speed level and brake lever on the handlebars). There’s also a guided low-speed, practice ride that includes an emergency stop. Your scooter will have a setting that limits the top speed you can reach; therefore, expect to cruise throughout Golden Gate Park between 5 and 12 miles per hour (8-19 kph). 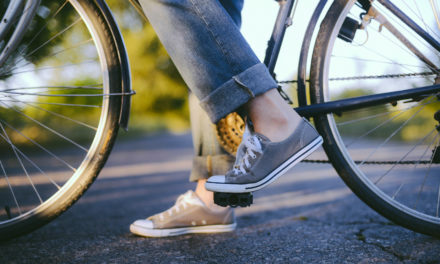 Since side to side balance plays an important role in operating a scooter, previous bicycle riding experience is highly suggested for this type of experience. 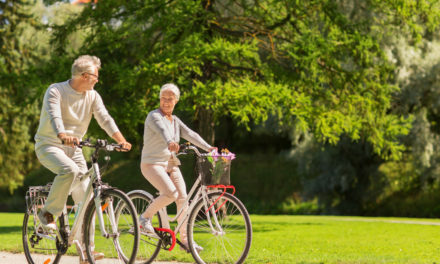 The tour company cannot dedicate the time to provide one-on-one, in-depth training for those who have never ridden a bike. You must be at least 16 years old to participate in a scooter tour. If you’re under 18 years of age, a parent or guardian must accompany you on the tour. You must also weigh no more than 290 pounds. There are no weight exceptions. On some hills, the scooters are not strong enough to propel heavier riders up various slopes and may require a lil’ ‘kick’ in order to maintain momentum. Due to being a fall risk, no pregnant guests are allowed. This activity is also not recommended for those who are age 70+, have undergone recent surgery, or experience mobility/motor issues. You must be able to stand on the scooter for prolonged periods of time, as well as be able to complete a 2 ½-hour outing. After meeting the basic requirements, there’s a liability waiver to review and sign. All riders must also wear a helmet and brightly-colored, reflective safety vest, which the tour company provides. Scooter tours take place in designated bike lanes, and riders are not allowed to use sidewalks. Keep in mind that some of the route travels through a couple high traffic areas, and that you’re expected to adhere to road signs and be mindful of pedestrians, cars and bikes. If you book a scooter tour and later find out that one or more of your guests do not meet the minimum age and weight requirements, they will not be allowed to participate in the tour. Additionally, you will not receive a refund or be able to reschedule. Electric scooter tours begin at 82 Hagiwara Tea Garden Drive in a meeting space close to the de Young Museum, California Academy of Sciences, and the Japanese Tea Garden. You’ve found the right place when you reach the blue and yellow tent situated in the paved section located directly behind the large band stage in Music Concourse. 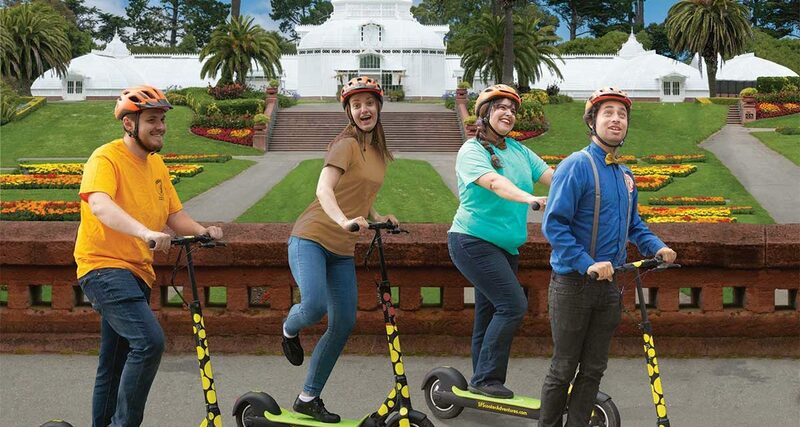 Before embarking on an exhilarating exploration of Golden Gate Park, you will participate in a short training session, familiarize yourself with basic controls, and test out your scooter to make sure you have the hang of it. You’ll be given a radio receiver with earbud that your tour guide will use to direct you and provide narration regarding the sights you’ll encounter. The tour travels along bike routes and winding trails for a 10-mile stretch, covering many iconic Golden Gate Park attractions, such as the Fly Casting Pools, Stow Lake, Strawberry Hill, the Dutch and Murphy Windmills, Queen Wilhelmina Tulip Gardens, the Bison Paddock, the Model Yacht Club, and Equestrian Center and Stables. Along the way, educate yourself on the history of one of San Francisco’s most popular places to visit; explore John McLaren’s vision for the park; discover the historic significance of the Beach Chalet Building and its murals; and lastly, take in Ocean Beach’s salty air and sandy surf facing the Pacific Ocean. Although the tour makes numerous photo-worthy stops, keep in mind that admission to the park’s attractions and museum is not included – save those visits for another day. Meeting Spot: Paved area directly behind the large band stage in Music Concourse. Golden Gate Park Bike Rentals – See The Full Park! Golden Gate Park Bike Tours – Every Attraction in a Day!